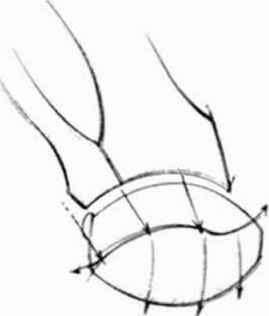 All fingers lend to show a general 90-degrce limit of closure, knuckle to knuckle, from the thumb through the little finger. 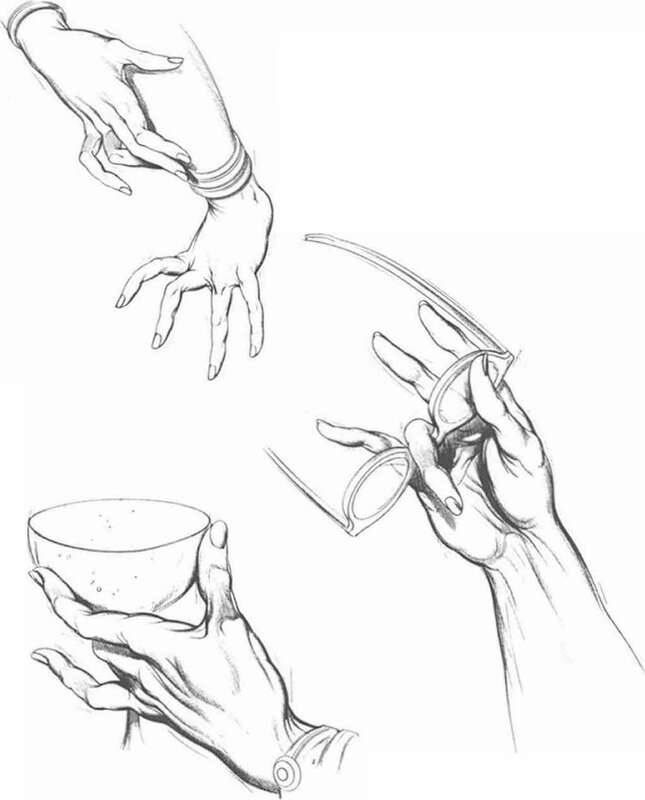 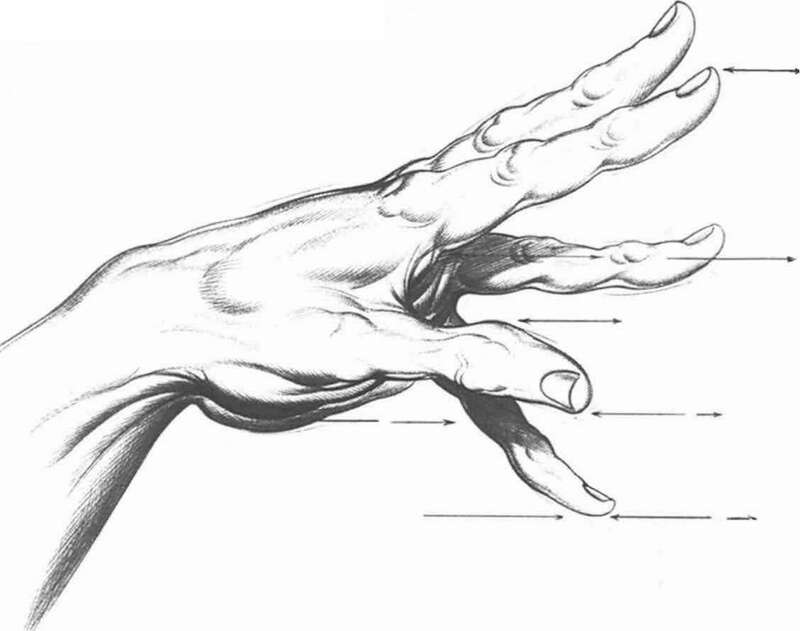 The sketch above shows the thumb pointed out 90 degrees from the palm line and then drawn down and closed at 90 degrees. 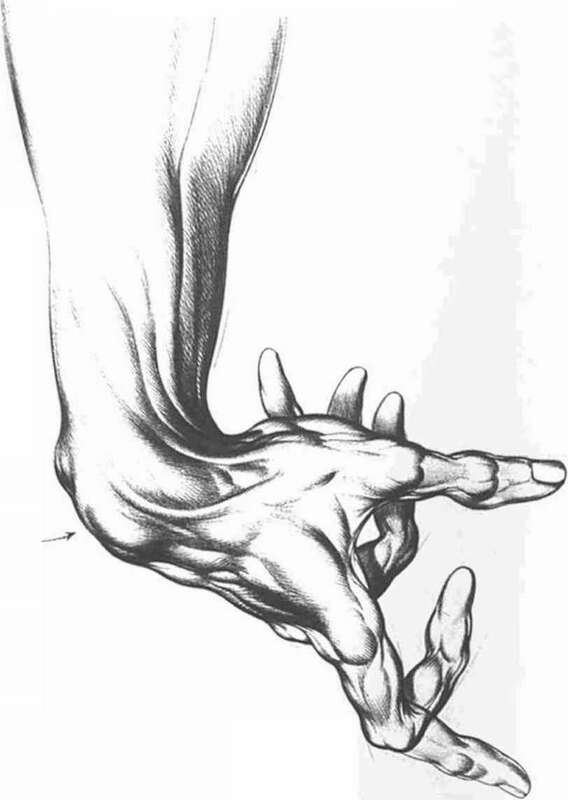 Both positions fonn right angles with the index finger. 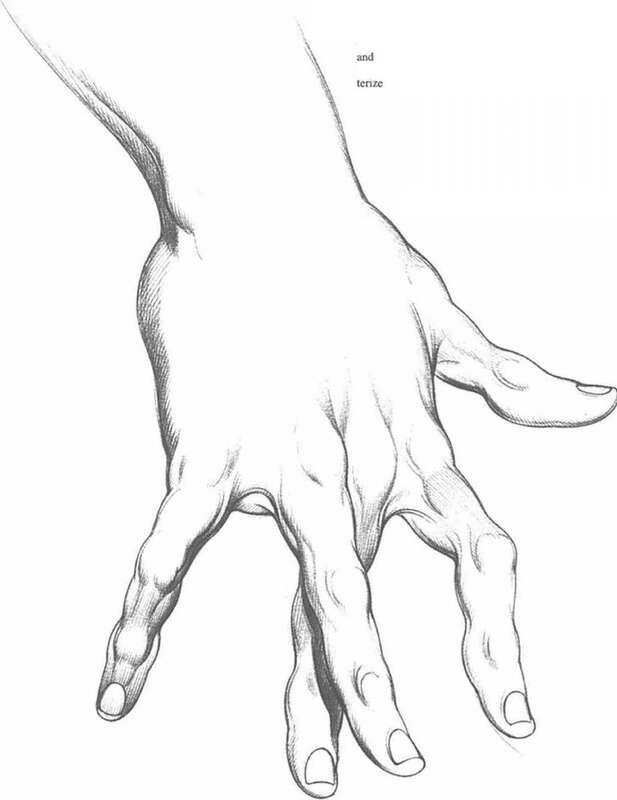 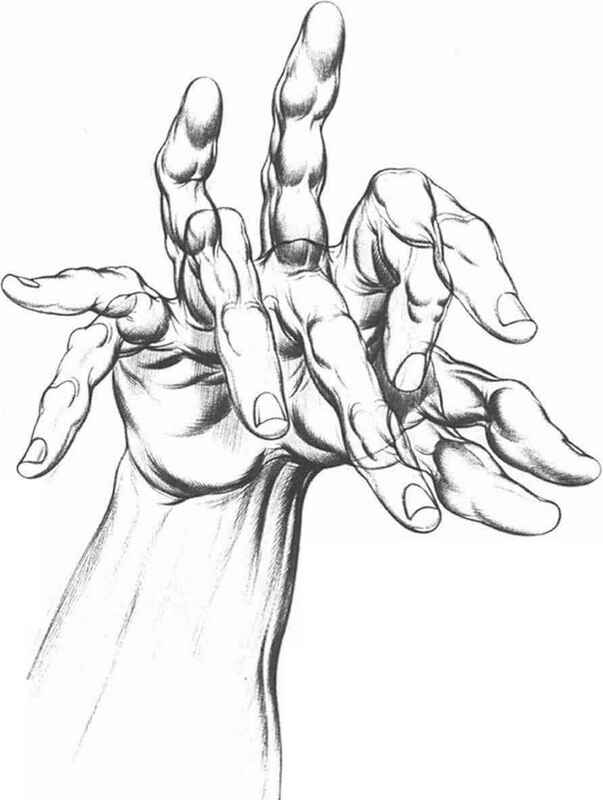 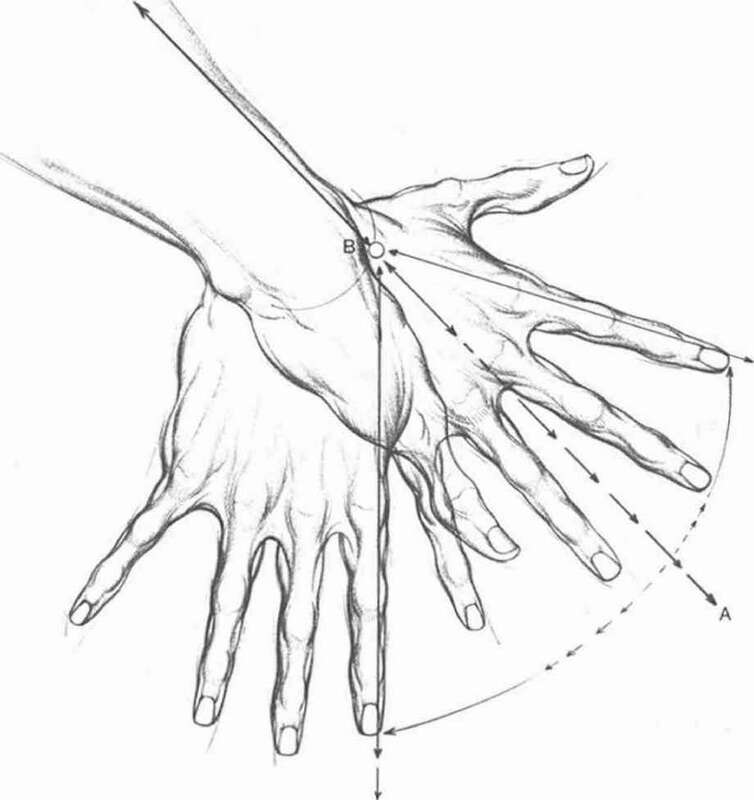 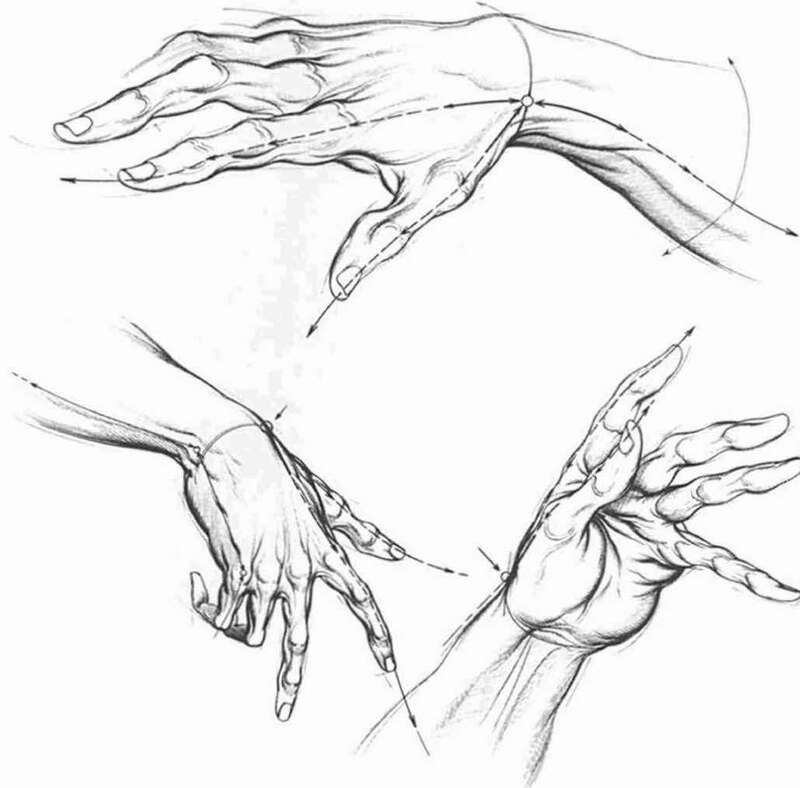 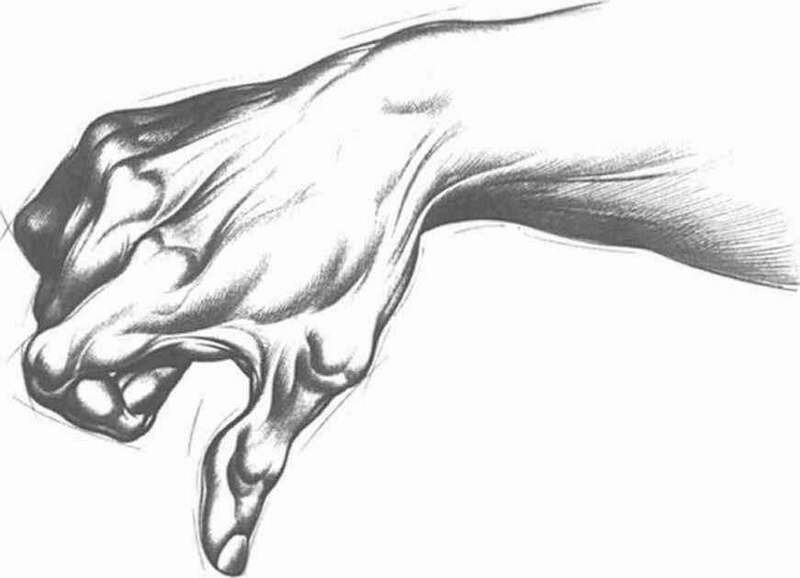 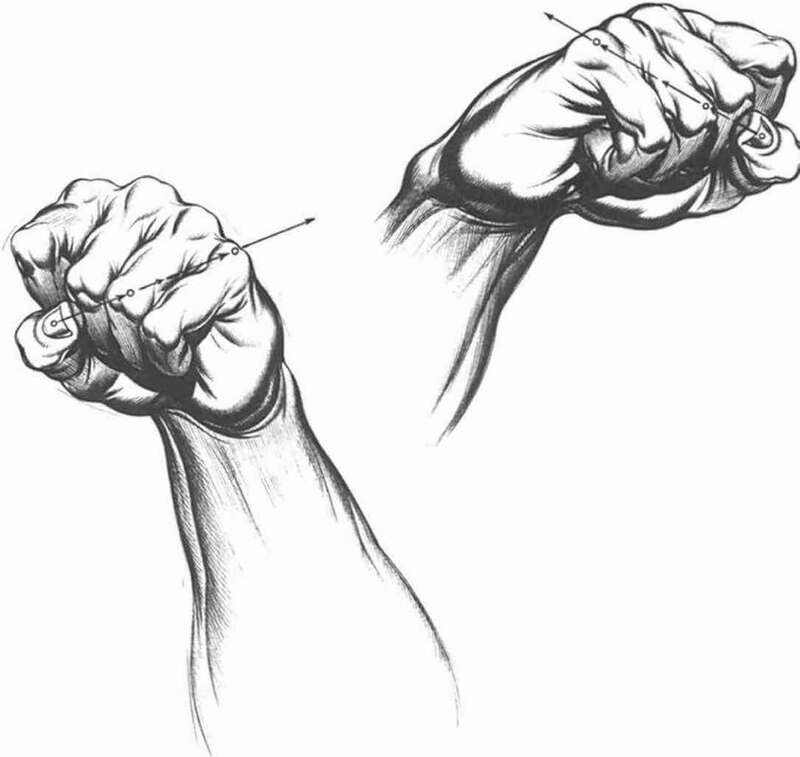 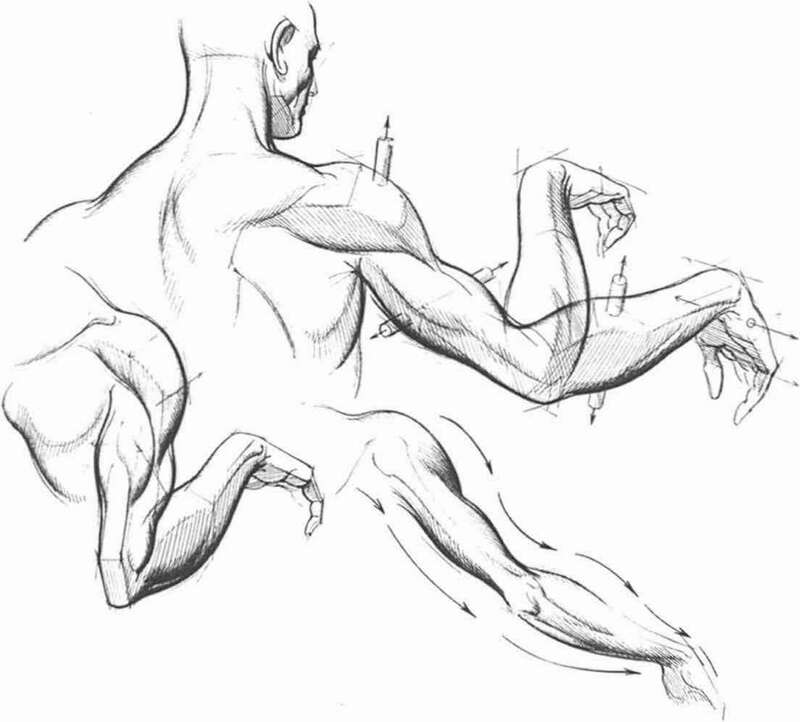 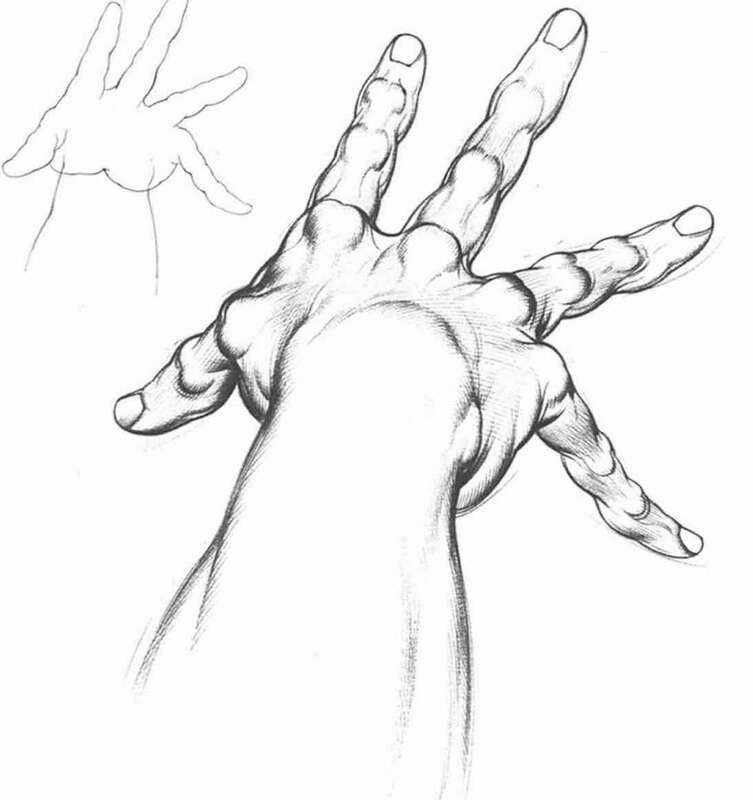 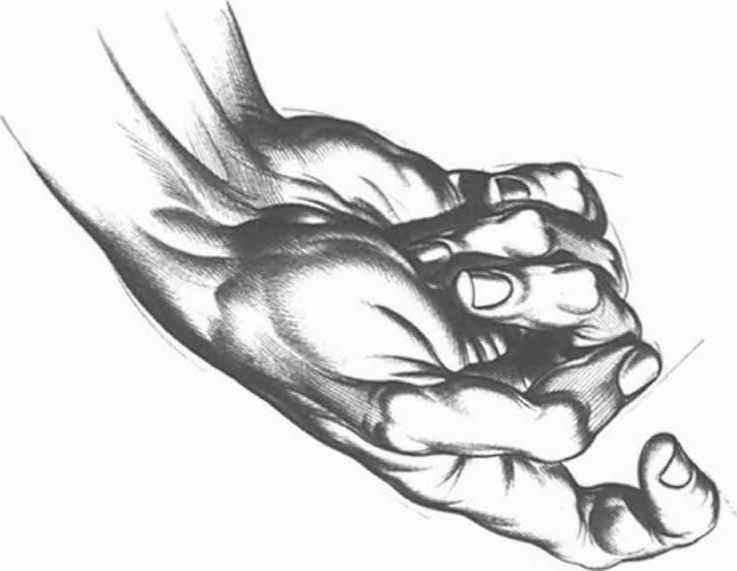 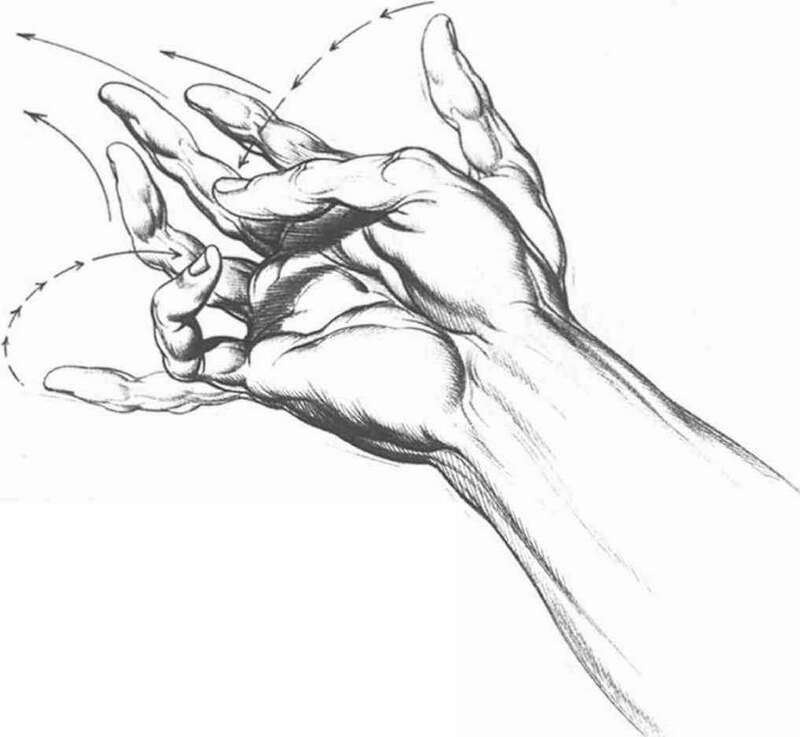 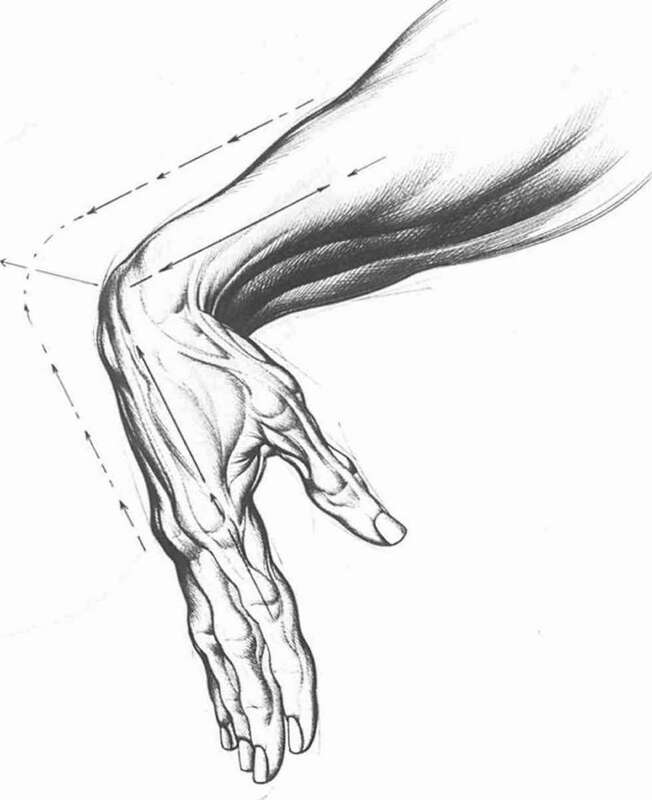 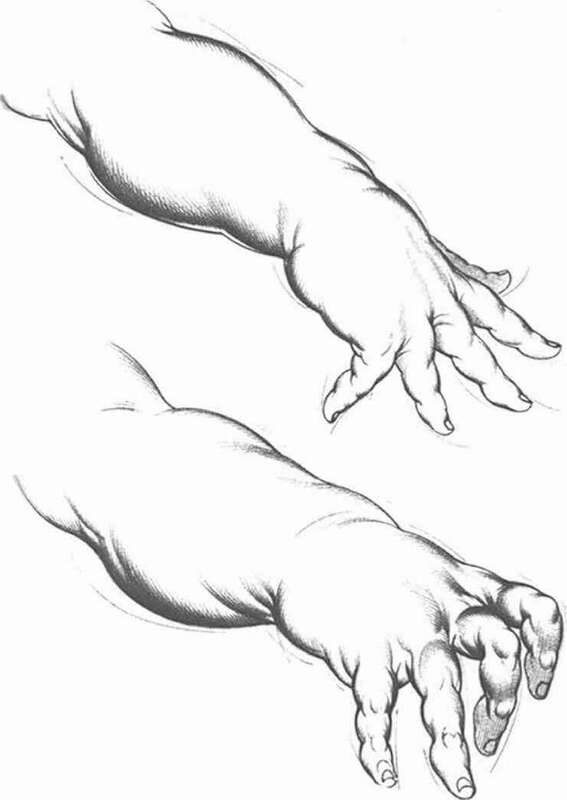 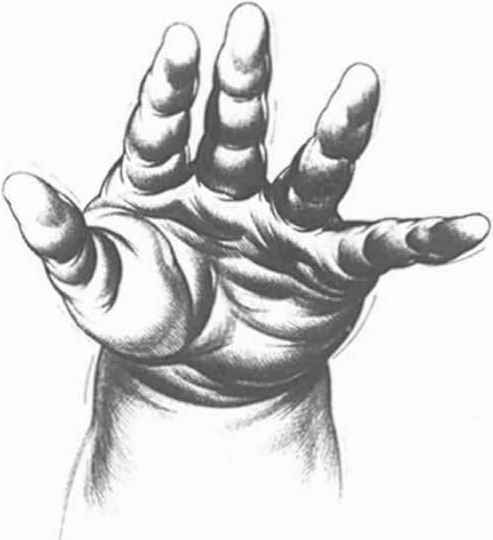 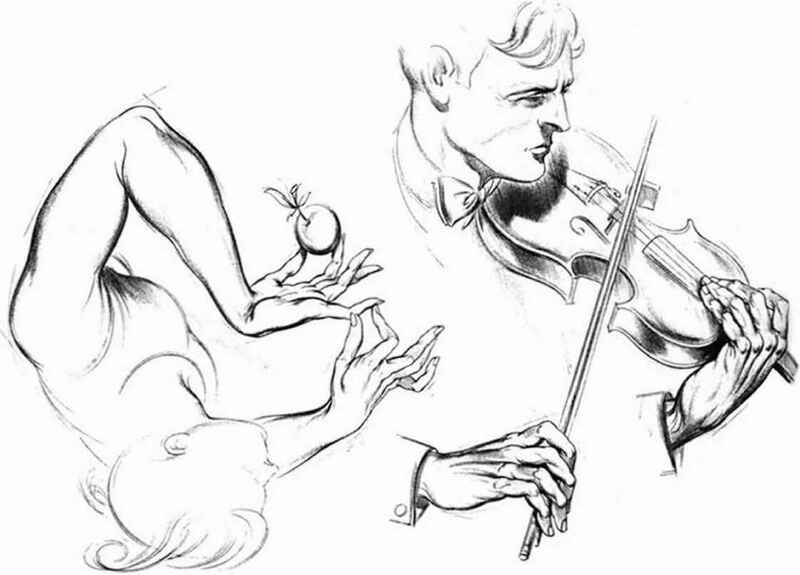 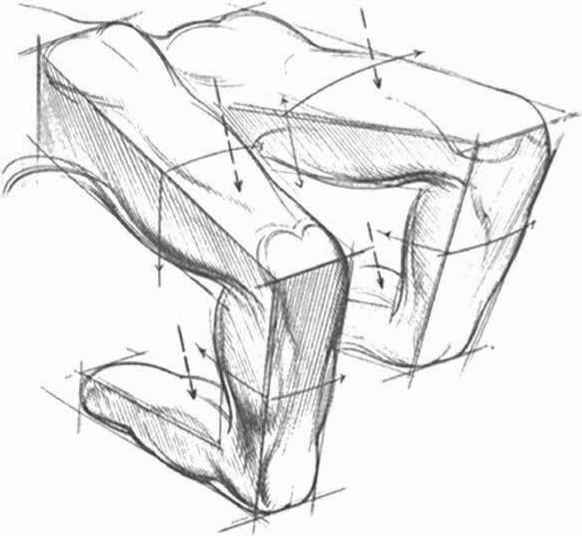 The sketch below shows the index finger in tight flexion, producing a square comer at every knuckle bend. 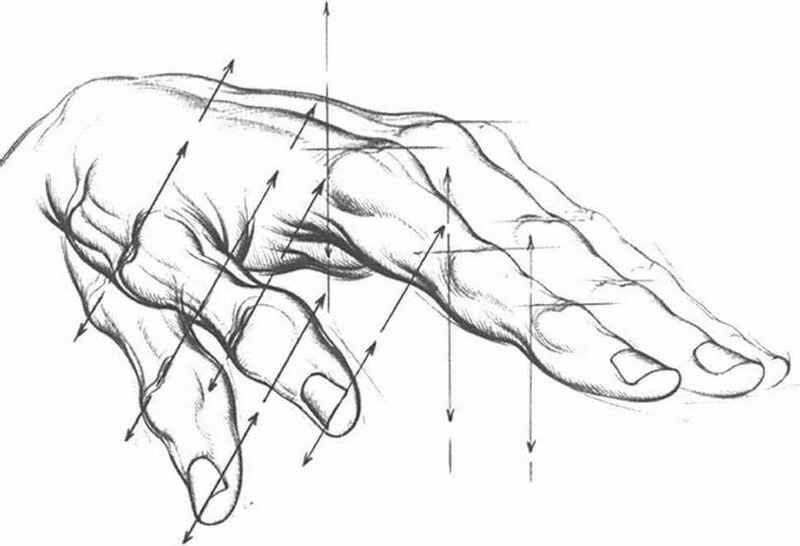 Note the 90-degree bends in the middle finger.